Craig Valentine, is an award-winning speaker, author and trainer. He has shared his winning formula with tens of thousands of people in 14 countries, and regularly conducts training for major organizations such as DuPont, NASA, McDonalds and dozens of others. Craig Valentine's formula has enabled him to become the 3-Time Salesperson of the Year for McGraw-Hill. Furthermore, he won the Toastmasters International 1999 World Champion of Public Speaking where he was #1 out of more than 25,000 contestants. In addition, he earned the Distinguished Alumni Award while receiving his MBA from John Hopkins University. 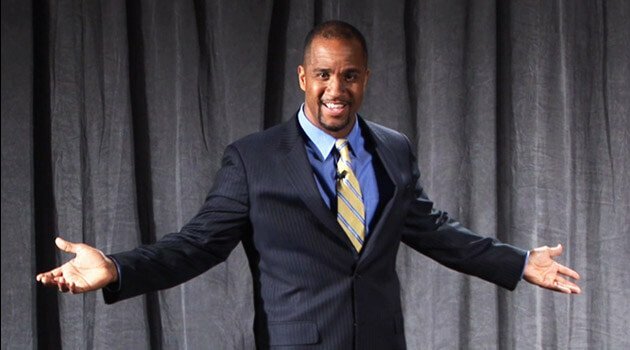 Craig Valentine is the author of The Nuts and Bolts of Public Speaking and World Class Speaking.